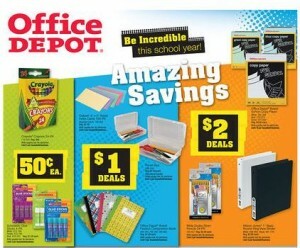 Office Depot has some great back-to-school deals this week! Now Star Teachers can enjoy more Office Depot Rewards than ever. Star Teachers can get 10% back in Rewards on most office supplies, 10% back in Rewards on ink, toner and paper, and a 15% instant discount on Copy & Print Depot services too!